Well like most people my shop is everchanging. 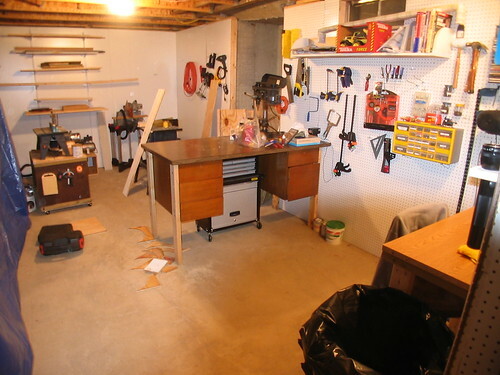 I have added a few items in the past few months to make it easier to work around the shop. They are projects I suppose but I figured I would just post them here in blog form instead. I have added a lot, but that is another story. This table has come in quite handy a number of times and I am planning to build a similar one as a base for several tools soon. 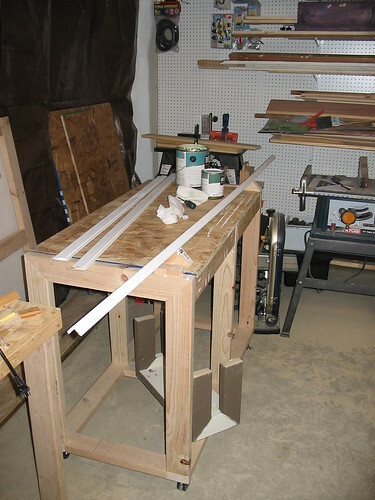 It like most of my work is dimensioned lumber and assembled using the Kreg system. 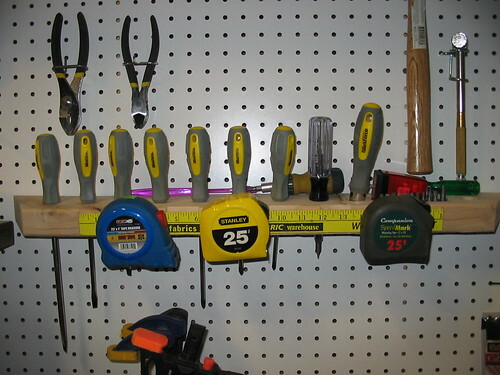 A small quick project was this screwdriver/tape measure rack to store my new set of screwdrivers I got for Christmas…. 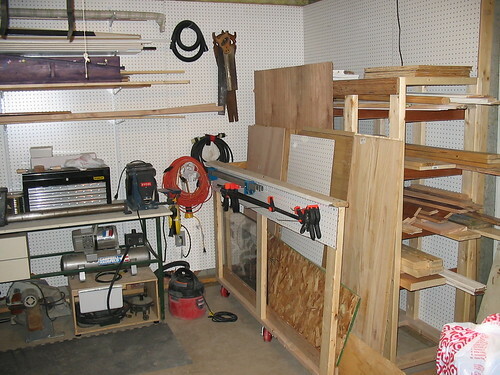 This to is built out of dimensioned lumber and some scraps of various stuff I had around the shop. Not the prettiest thing in the world but oh how useful and needed. Putting up that peg-board on the walls is sure a good idea. You never have to worry about having a place to hang something or having to find a stud to hang something heavy. Less rooting through drawers too!